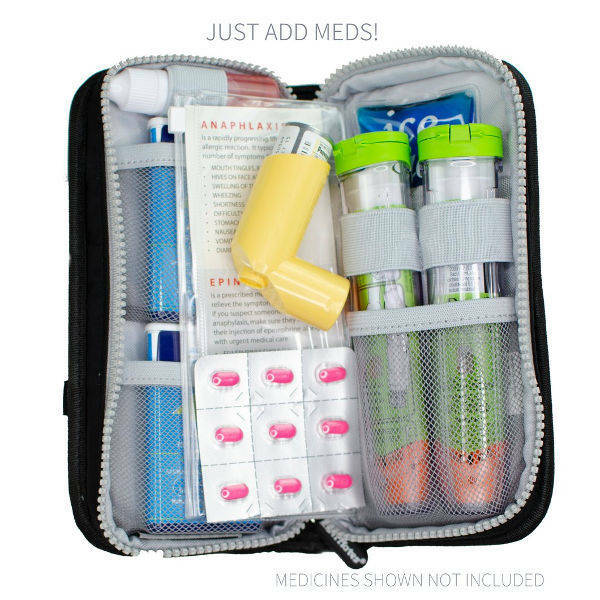 Epipen carry case – holds 2 adrenaline auto-injectors, an inhaler or nasal spray and liquid medications such as anti histamine. This EpiPen® auto-injector carrying case was designed by the mother of a child with allergies so it’s features will fit your every need. The case has a fold out flap on the front that holds an ID card. 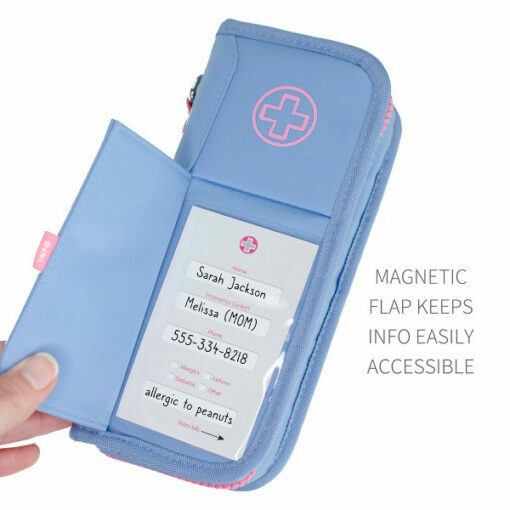 The flap has a tab on the side that reads “Info” so it will be noticed in case of an emergency. 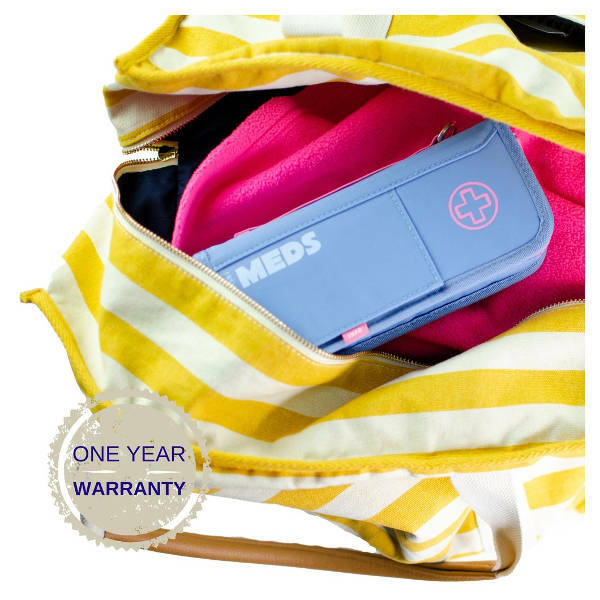 The inside of the case has specific loops to hold adrenaline pens like EpiPen®, Anapen®, Jext® and Emerade®* auto-injectors. Has two stretchy pockets for other medications and another for an included ice pack. The case also comes with a thermometer strip and a small 15 ml tamper proof bottle for holding liquid medications like anti-histamines. The bottle is BPA free. 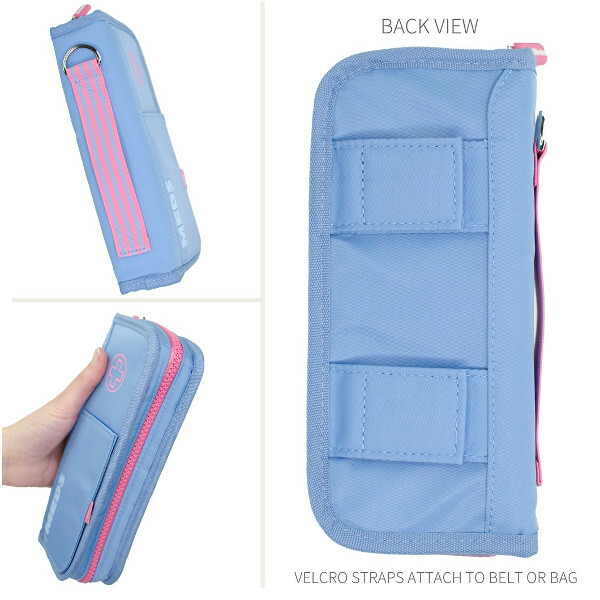 The case has an adjustable belt that attaches to the back of the case through velcro straps. 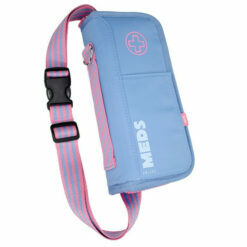 You can also attach the velcro straps to the straps of bags, belts and the handles of strollers. 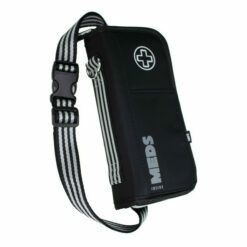 There is also a strap and metal loop on the side of the case for carrying and attaching to a clip. Case has internal loops to hold adrenaline auto-injectors and stretchy pockets for other medications. 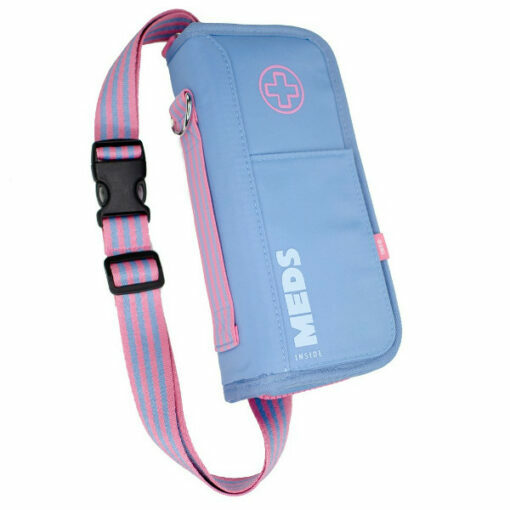 Comes with a 15 ml tamper proof, BPA free bottle for liquid medications. 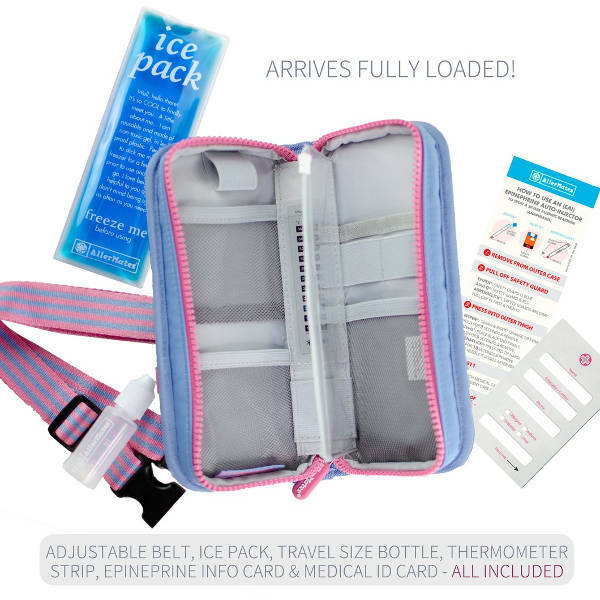 Comes with a reusable non toxic Gel Ice Pack for keeping temperature sensitive medications cool. The front has a flap that contains an ID card. The case comes with an adjustable belt and an elastic strap for carrying. Ripstop fabric & 600 denier polyester exterior. Please note: Bottle can be opened by pulling off the nozzle at the top. There is a seam between the thread of the cap and the nozzle where you can push upward to get it off. It must be removed to fill the bottle with anti-histamine. 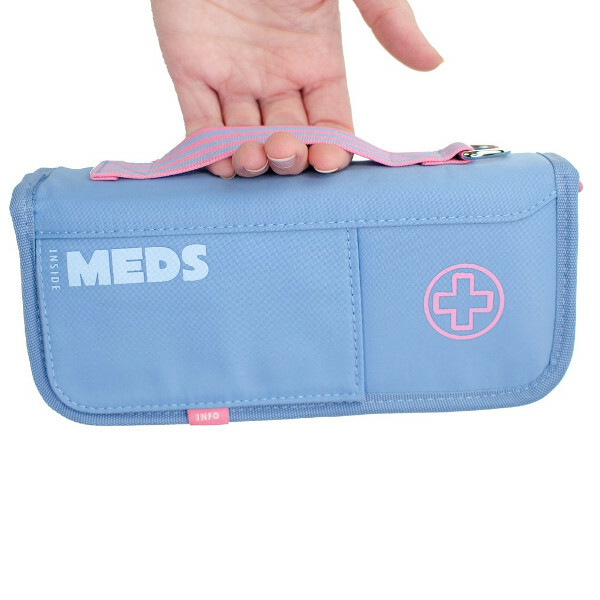 Medications shown are for display purposes only. Not included with the case. Bought this for easy access to my allergy meds after my condition worsened. Quick access to just the ones I need … first class. 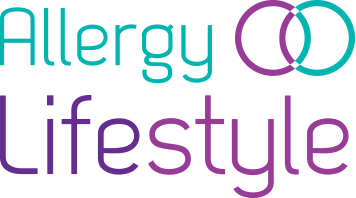 Excellent product perfect for my 7 year old grandaughter. Holds everything she needs.